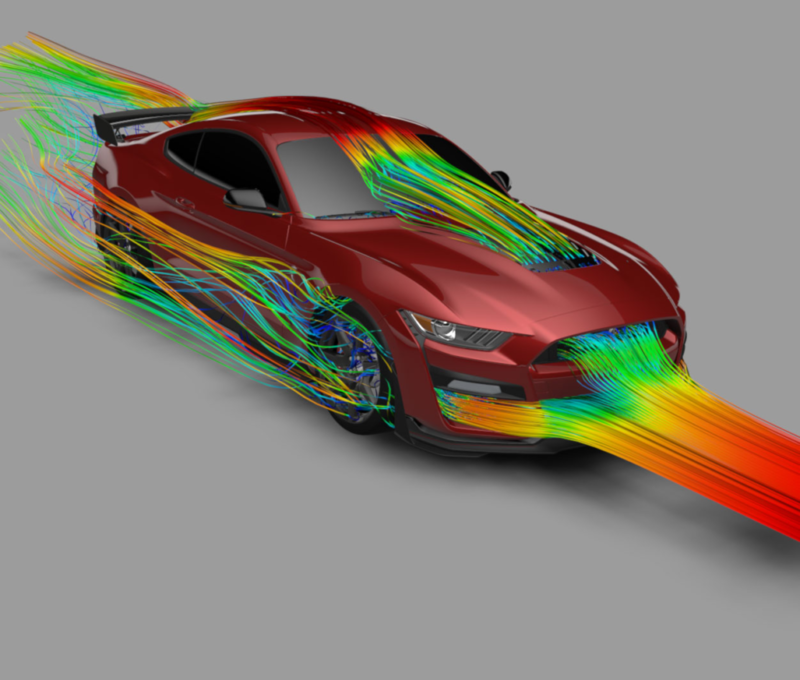 When the 2020 Shelby GT500 goes on sale later this year, it will be the quickest-accelerating, most aerodynamically advanced street-legal Mustang yet, thanks to virtual testing in supercomputers and 3D printing. Borrowing best practices from more than a century of racing, Ford Performance designers, powertrain and aerodynamics engineers functioned as a virtual racing team to test hundreds of designs, both digitally and physically. 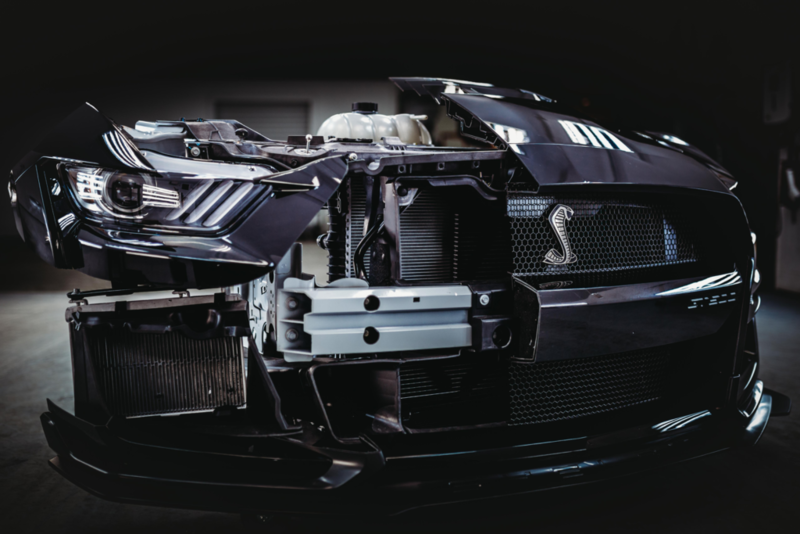 They used state-of-the-art digital and additive manufacturing prototyping tools in a bid to make the ultimate, most advanced performance street-legal Mustang of all time. The team leveraged Ford’s vast resources of advanced design simulation tools, including the Ford Performance Technical Center in Concord, North Carolina, and rapid 3D prototyping systems at its Advanced Manufacturing Center in Redford, Michigan. To physically validate the improving designs, Ford’s wind tunnels in Michigan and its windshear rolling wind tunnel in Concord were also used. The Shelby GT500 team ran extended high-speed tests on some of the most notable racetracks in the USA to refine the aerodynamic designs and ensure that the new vehicle delivers the fastest track times ever in a production Mustang, along with improved driver control for greater confidence behind the wheel. Delivering more than 700hp using 93-octane fuel, maximizing cooling at the front is critical to the Shelby GT500’s vigorous track performance, and where the team focused much of its efforts. At wide-open throttle, the cooling system needs to extract up to 230kW of heat energy, enough to heat a dozen homes. 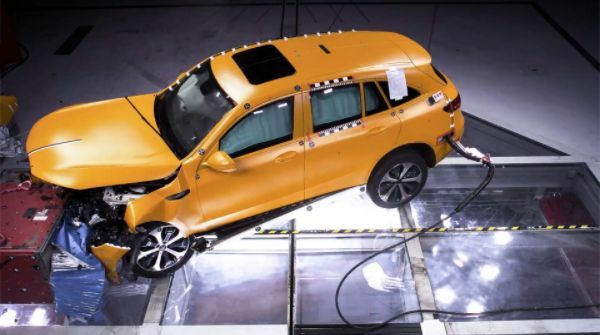 The massive front brakes reject another 100kW of heat at maximum braking, so the team utilized advanced 3D airflow modeling to maximize overall cooling while working to minimize impact on front-end lift and drag. More than 500 3D cooling and aerodynamic designs were analyzed to maximize aero performance and cooling, with more advanced design models driven on full chassis simulators at the Ford technical center with professional racing drivers. Key modeling simulations included cooling systems, front fascia and splitter designs, along with brake ducting, rear spoiler designs and a large 6.03ft2 (0.56m2) louvered hood vent. The most promising designs were printed in a matter of days, not months, enabling the team to increase the fidelity of performance and aerodynamic refinement. For example, more than 10 front-splitter wickers were printed and tested, some with minute modifications to perfect their design, with multiple versions of parts simultaneously sent out for track evaluation. The team achieved maximum rear downforce of 550 lb at 180mph (290km/h), leveraging the Mustang GT4 race-proven rear track wing to deliver the most downforce ever on a street-legal Mustang with available Carbon Fiber Track Package. 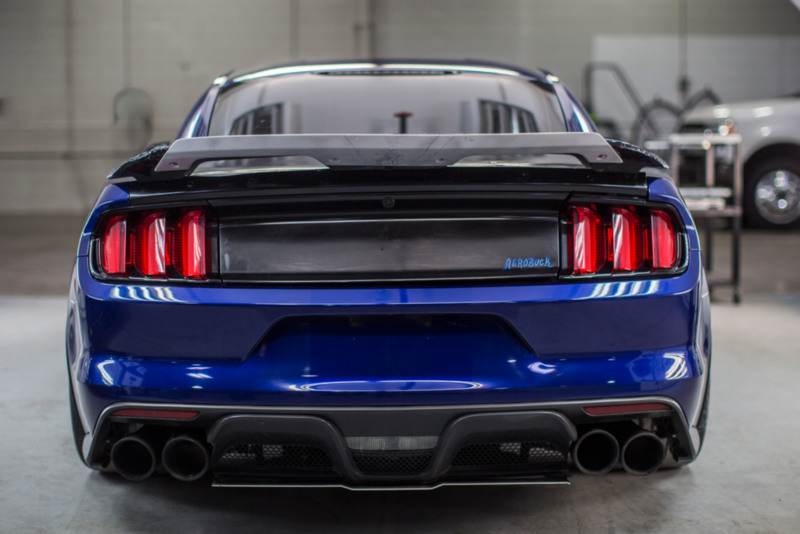 An innovative new rear spoiler design, standard on the base 2020 Shelby GT500 and known by the aero team as ‘the swing’ – a hybrid between a spoiler and a wing – is a result of the advanced simulations and prototyping process. With available handling package and gurney flap installed, the swing works to deliver 379 lb of rear downforce at 180mph. 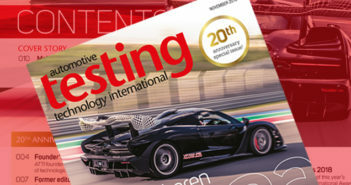 High-performance cooling targets also factor into the design and virtual testing to help ensure consistent heat management and power delivery over extended sessions at the track. The 2020 Mustang Shelby GT500 goes on sale this summer.